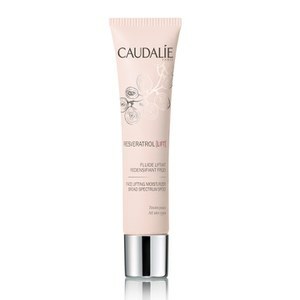 Reignite a youthful glow with the Resveratrol Lift Face Lifting Moisturiser SPF20 from Caudalie. The brand's patented vine resveratrol is combined with plumping micro hyaluronic acids to lift skin from within, revealing a firmer, smoother and hydrated complexion. Suitable for all skin types, the fast-absorbing, non-greasy cream delivers broad spectrum protection to shield skin from environmental aggressors, whilst stimulating collagen production and elasticity for a re-sculpted, tighter appearance. Oil free. E.N.